How are Oakland students doing? The “Smarter Balanced Assessment Consortium” (SBAC) tests measure student learning according to the new Common Core State Standards, which were created to ensure that all students have access to strong academic content that prepares them for college and career. These state-mandated tests in English Language Arts and math reflect significant changes in how we teach and measure student learning. 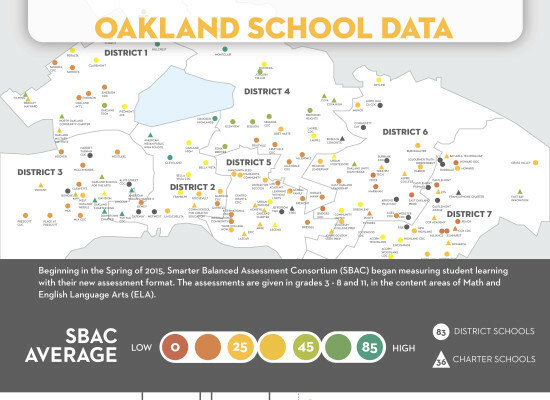 We created a map to show how Oakland’s public schools did during the first official year using the SBAC. 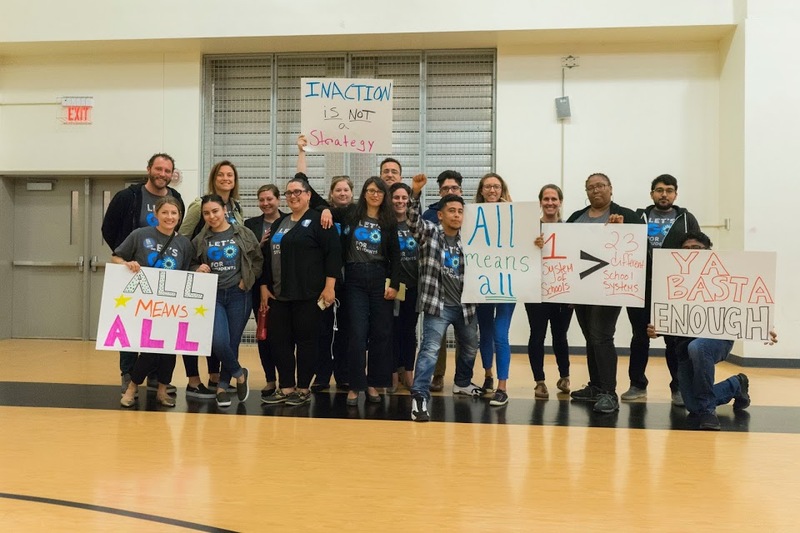 Oakland Unified School District is also developing a new system, the School Performance Framework (SPF), which provides families, educators, and policy makers a guide that measures schools and how well they serve the whole child. SPF is a localized version of the CORE Index, which measures schools based on academics and other factors such as suspension rates and parent satisfaction. Check back with us as we highlight the features of the SPF and its relationship to the CORE Index and OUSD’s Strategic Regional Analysis (SRA) tool.